Our range of products include ice cream containers, fluorescent packaging tray, paper ice cream cup, ice cream cups and plastic containers. We are offering Ice Cream Containers to our clients. Our offered ice cream containers ensure that the ice cream does not melts quickly. We bring forth for our clients premium quality ice cream containers that are used for storing ice creams. 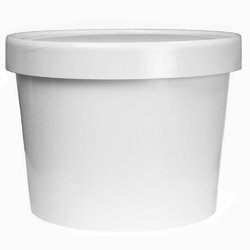 Available in various sizes, designs, and colors to fulfill the various demands of the clients, we offer this ice cream container at an industry leading price.Offered ice cream container is designed and manufactured using supreme grade raw material under the guidance our professionals in compliance with the set market standards. The offered ice cream container is checked on various parameters to ensure its fine finish. Colors Available Brown, Blue, Yellow etc. Paper Paper Type: Art paper, Coated paper, Kraft paper, Paperboard, Wax Coated paper. Use: Used for serving food. We are leading manufacturer, supplier and exporter of excellent quality Ice Cream Cups. Only the best materials are used by us in the manufacture of these products. 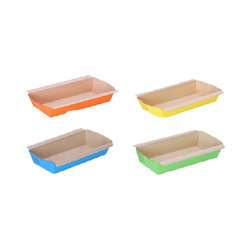 Light weight, convenience, compact, easy to store are some features of these quality products. Ice Cream Cups are designed and developed by highly qualified professionals.Our customers receive great satisfaction form these products that we offer at reasonable prices. These professionals are well versed in the latest technology and equipment and ensure the production of quality products. 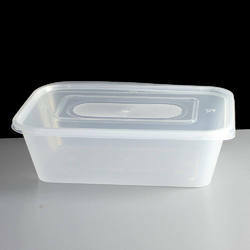 We are offering Plastic Containers to our clients.